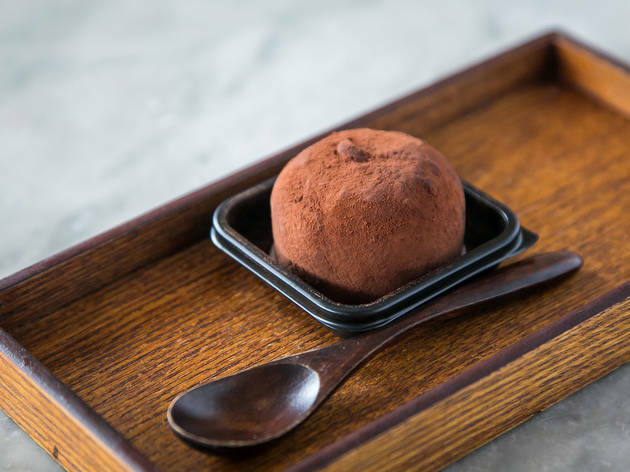 High-end chefs peddling everyday treats is common practice in 2017. 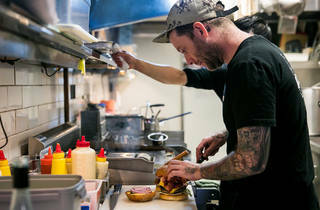 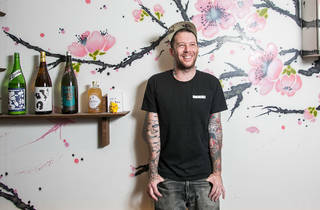 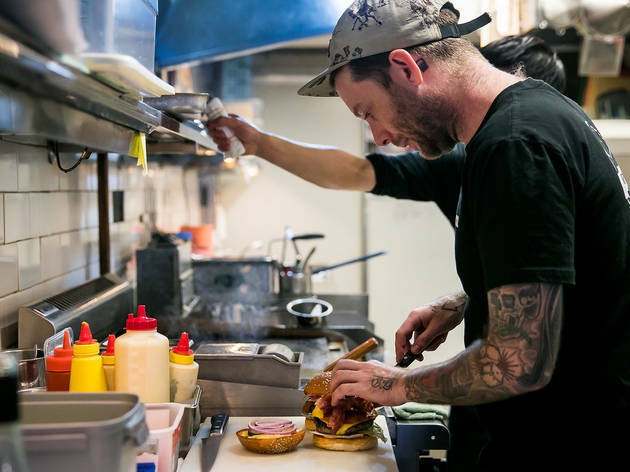 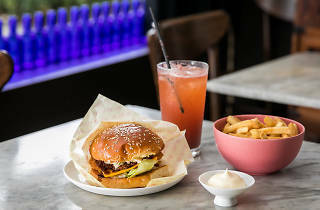 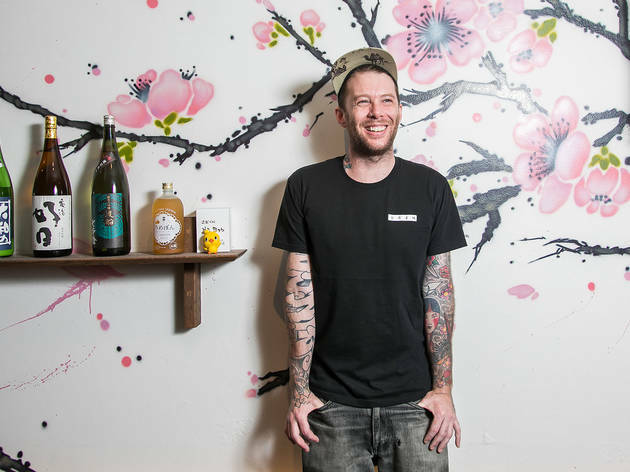 Neil Perry has a modest fast food empire with Burger Project; Chur Burger went from a back lane spin-off to serious money spinner for Warren Turnbull; and now that Kerby Craig has a second burger bar under his belt down at Barangaroo, it’s safe to call hyper-qualified burger chefs a very Sydney trend. 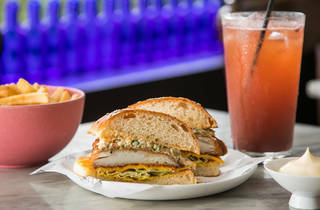 But damn it if Craig’s katsu chicken burger isn’t one of the best hot sandwiches we’ve eaten in this city. 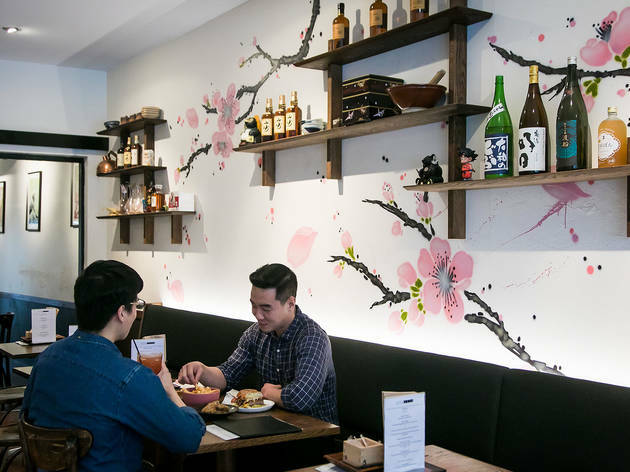 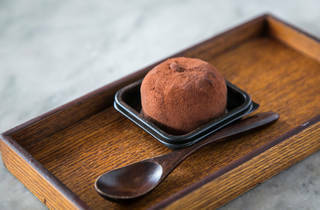 It’s kind of hard to imagine that his original little burger and wine bar on Bourke Street in Surry Hills was ever in the fine dining category, but Ume was, for a time, some of the best casual Japanese outside of the CBD. 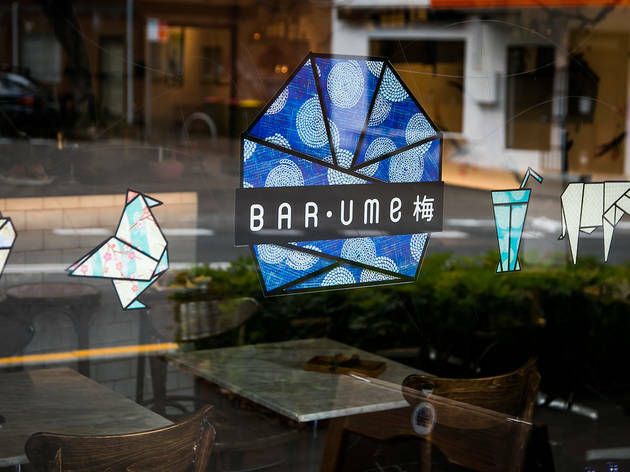 And the 2016 downgrade hasn’t hurt the excellence of Bar Ume. 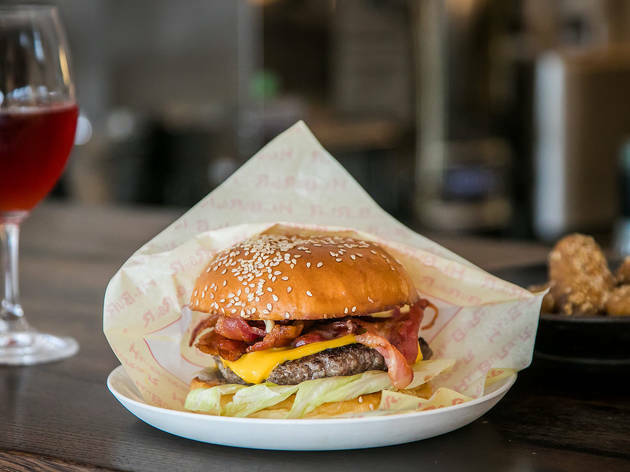 In fact, burgers, snacks, natural wine, sake and hip hop actually suit the place better in many ways. 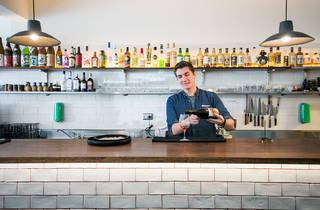 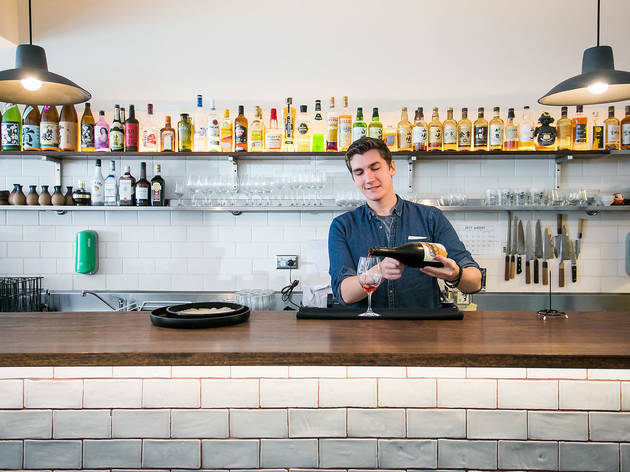 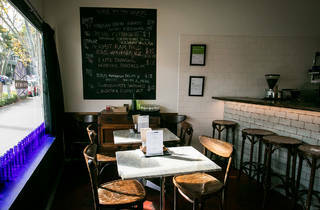 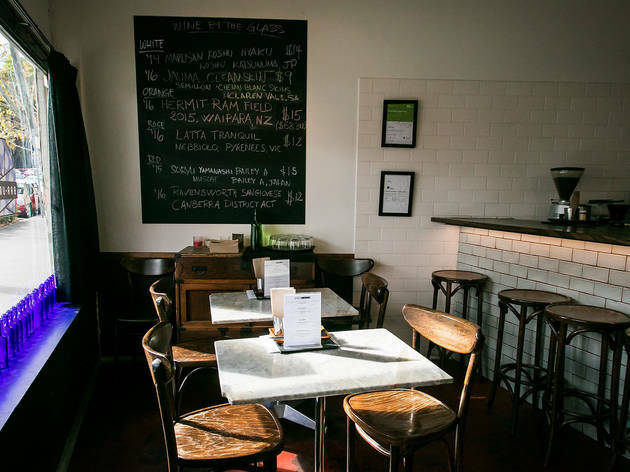 To start with, it’s small – one banquette and a handful of tables is all the people parking available, but the small footprint is a big part about why this doesn’t feel like a burger bar. 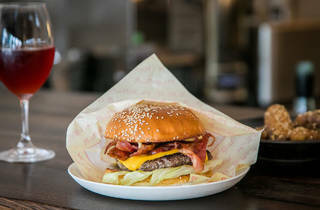 It feels like a bar that just happens to make a bacon and cheeseburger with sharp, snappy rice vinegar pickles, the warm golden glow of American cheese and mayo. 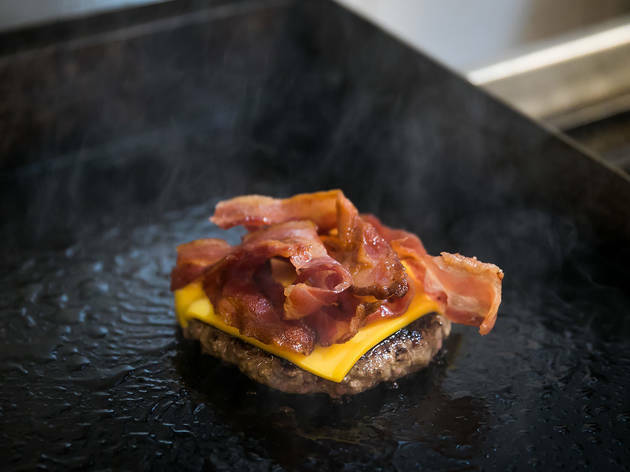 But back to that katsu burger for a minute. 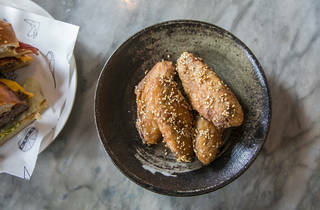 The chicken thighs are wider than the sweet bun so that hot, juicy, crunchy bites stick out on all sides. 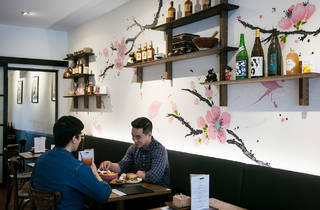 The sweetness in the tonkatsu sauce is good, the subtle citrus in the yuzu mayo is even better, and they jam enough finely shredded cabbage and the right amount of raw onion to keep things feeling fresh, not fatty. 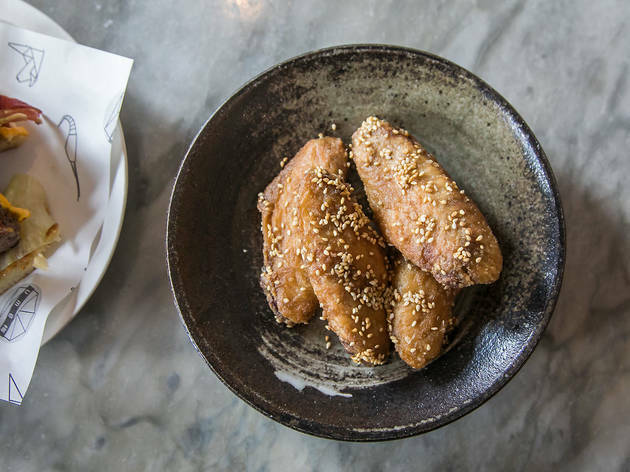 The chips are dressed with an umami salt, but for something a bit more luxe as a side, consider a perfect plate of mixed Japanese mushrooms barely dressed in kombu butter. 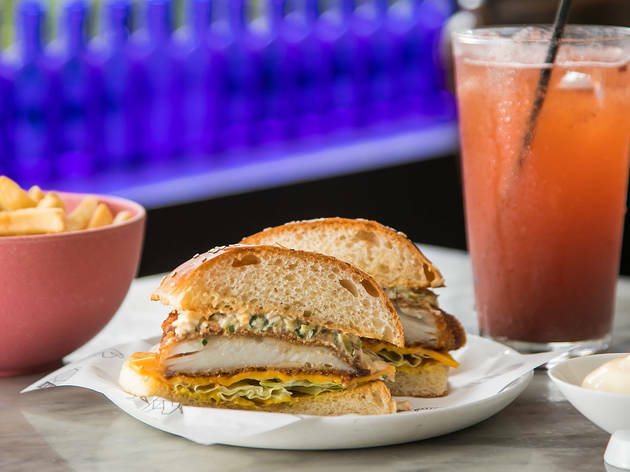 Same savoury hit but a whole different ballgame. 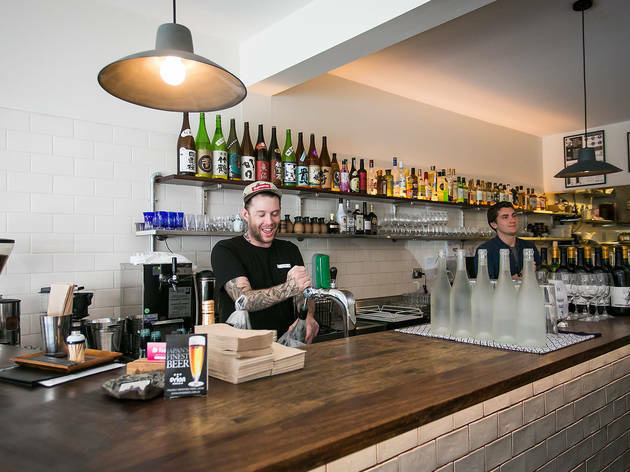 Fun comes in a lot of sizes here, like giant bottles of sake; single glasses of a salty, fruity cleanskin fresh from the Jauma vineyards in South Australia; and nips of Japanese whisky. 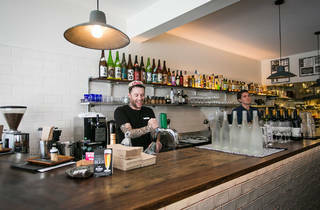 If you’re in the booze-free fun frame of mind order the ginger and passionfruit soda that’s low on fizz and high on delicious, so you’ll want to slam it down double time. 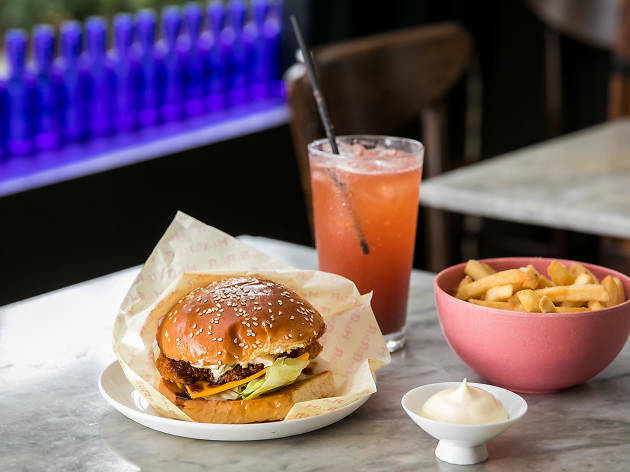 Sydney is a burger town. You can’t lob a milk bun without it hitting someone who’s grilling beef for fun and profit, but not all burgers are created equal, and neither are the chefs cooking them. 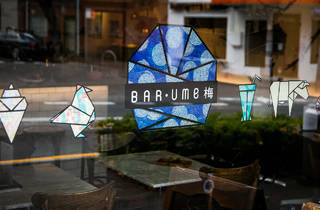 At Bar Ume, you’re getting the best on both fronts.